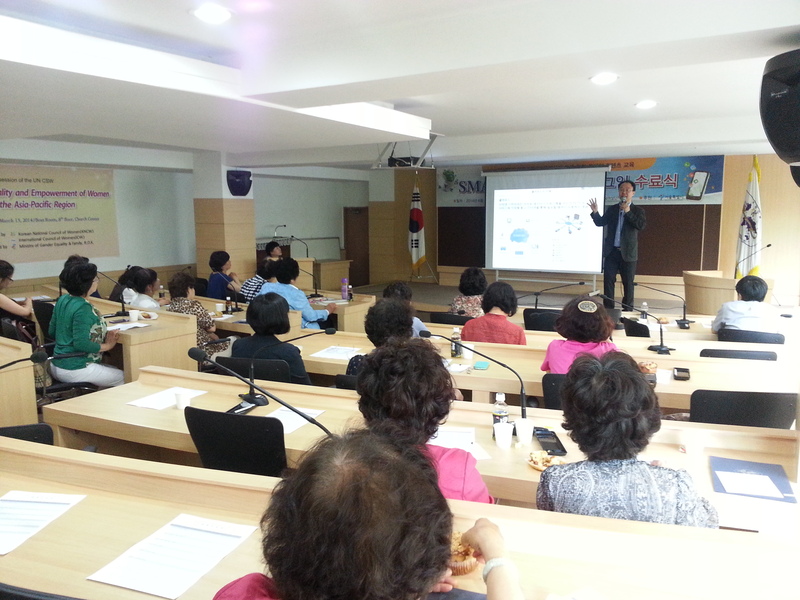 A Graduation Ceremony of “Work training and mobile contents education for the exchange of management experiences” was held on the Auditorium on the 2nd Floor of the Korean National Council of Women at 2pm on June 19 (Thu). At the graduation ceremony presided by Project Team Leader Noh, Yoon-kyung, a special lecture was provided by Instructor Lee, Young-hwan who was in charge of 6 education sessions from June 10 to 18, followed by National Anthem and a Ceremony to deliver Certificates of completion to those who completed this education. 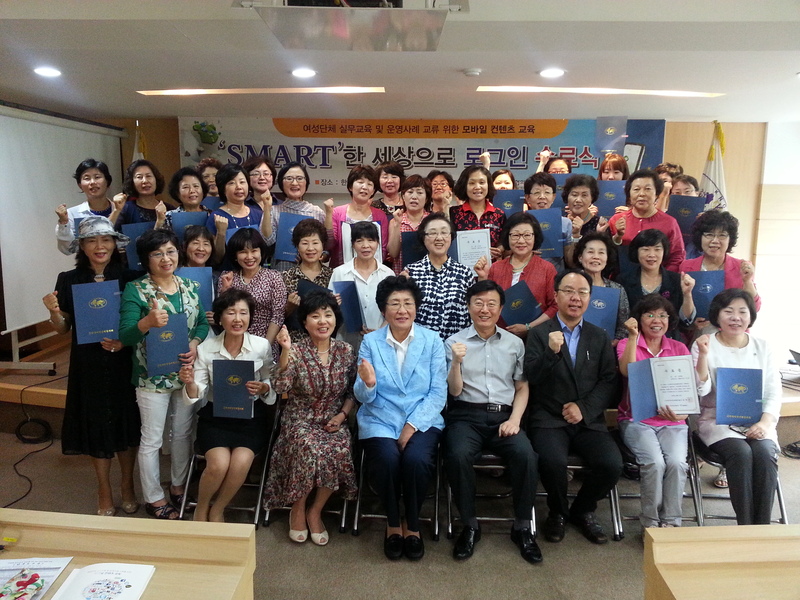 This education which Korean National Council of Women which has done its best for the empowerment of women proceeded on the theme of “Login to the SMART World” was provided at Seocho Women’s Manpower Development Center for the leaders of women’s organizations and staffs, and was met with great response from the participants as it was consisted of practical programs so that women could efficiently carry out tasks and exchange information by using smartphones.